Lack of faires in Ontario this year...anyone up for an invasion? Although it is still early in the year, some of us have been anxious to see dates for local faires so that we can start planning our season. It is very sad that we have lost 3 faires this season....Casa Loma, Great Northern Medieval (not confirmed) and Country Renaissance in Milton (confirmed??). That leaves only Pirate Fest, Waterloo and Guelph within day trip range. Osgoode in Ottawa and Upper Canada would both have to be overnight stays to travel that distance. Any other suggestions? I am hoping that we can plan an invasion to some place such as Sterling. Anyone else interested? Re: Lack of faires in Ontario this year...anyone up for an invasion? I've wanted to go to Sterling for a few years now. If the funds allow and it doesn't coincide with a weekend I'll be vending at one of the Ontario faires, I'd love to go on an invasion! PS- There's also Robin In The Hood in Elmira. It's the same weekend as Country Ren was last year (I think?). It's a small faire, only on the Saturday, but it might be worth a check out if you're itching from faire withdrawl. Hopefully the faires will start posting their dates soon so we can start to make plans and budget for travelling. Country Ren is only educational this year & should be back to normal in 2013. Thanks Lady Julianna....I will be able to ask far in advance now for those days off. An invasion to Sterling appears to be of interest to several groups of people. Now we just need to choose a date so we can go ahead with making budgets and plans. Please let me know if you are interested and we will get started. Depending on where you are trekking from (we live in Barrie) there are several Faires that are 4-5 hours drive from say the central point of Toronto. Sterling RF (outside Auburn, New York) is awesome, and so is Michigan RF (Outside Flint, north of Detroit). We have been to each of those at least one weekend each of the last 6 years, sometimes we visit twice. It's worth the drive and the cost of a hotel. 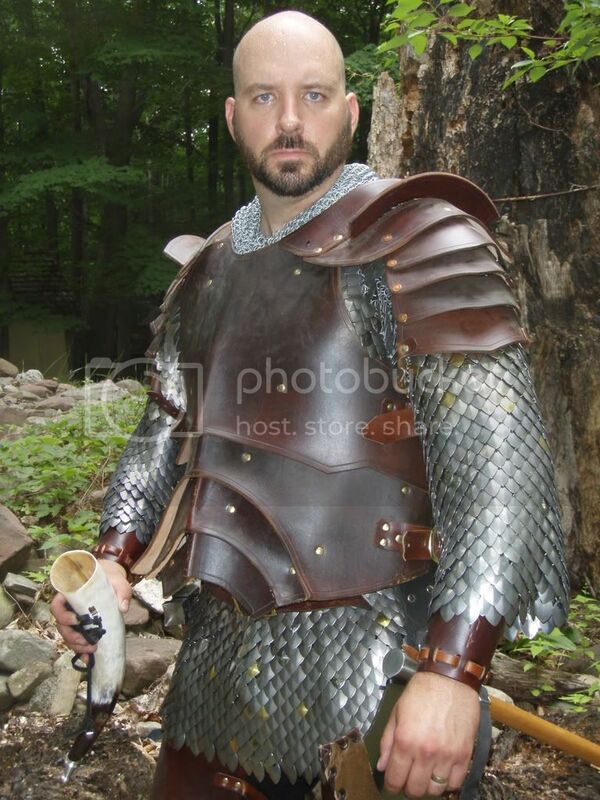 We have also been hitting Great Lakes Medieval Faire in Ohio for the last 5 years, another great Faire. These faires are not a one weekend go, they are permanent Medieval towns with wooden buildings. They usually run 6-8 weekends towards the second half of the summer into the fall. If you want a REAL treat, head down to Maryland RF outside Washington. Hit it on a long weekend, as you will need at least two days to see the entire grounds. It's not for the faint of heart at a ten hour drive, but its been every year since 2004 for us. Always on the lookout for my next noble cause. And because a flail don't need reloading, that's why.